Live your life online without worry. Norton Security gives you the freedom to pursue your life online, experiencing everything it has to offer, without fear. We arm you with the tools to protect yourself, your family, your business and your data, so you can go boldly, not blindly. We have over 30 years of security expertise, with 14 security centres located around the world, running 365x24x7. We discover new threats within minutes or hours. A smaller company offering free software may not offer this level of protection. And when a new threat emerges, you need protection from it ASAP. Defends against ransomeware, viruses, spyware, malware and other online threats. 24/7 telephone & live chat customer support. Tools you need to get your PC running like new. Includes 25GB of secure cloud storage for your PC with the option to add more if needed. Our best protection with PC backup and family safety features, for you and the people you care about. Provides real-time protection against existing and emerging malware, including ransomware and viruses. Includes 25 GB of secure PC cloud backup, providing additional protection against ransomware. Our best protection for any way you choose to connect, with the tools you need to get up to 5 PCs running like new. Helps maintain your digital privacy. Recovers damaged or deleted files. Helps clean and speed up your PC. Fixes common issues and errors. Improves PC performance with optimisations not found in most security software. Our best protection for any way you choose to connect. Patented protection against viruses, scams, phishing attempts, zero-day exploits and more. Automatic “silent” updates ensure you have the latest protection. No in-product advertising pestering you to switch to a paid security solution. As a cybersecurity leader, we know that all the data that you send and receive from your device like passwords and credit card numbers is sensitive. When you connect to a public Wi-Fi, we encrypt and convert that data into an unreadable, untraceable form until it reaches its destination, making it secure. Now you can connect safely and privately with your PC, Mac or mobile device anywhere you go. A virtual private network gives you online privacy and anonymity by creating a private network from a public Internet connection. With Norton WiFi Privacy, the sensitive data that you send and receive from your device like passwords and credit card numbers is encrypted and converted into an unreadable, untraceable form until it reaches its destination. Protect your information on public Wi-Fi. While public Wi-Fi is convenient, it may not be safe. Sending data over the Web when using an unsecured Wi-Fi hotspot can expose your most sensitive information like passwords, photos and credit card numbers to hackers and identity thieves. Norton WiFi Privacy encrypts this information so you can use your PC, Mac, smartphone or tablet on any public Wi-Fi hotspot without worry. Protects the data you send and receive when using public Wi-Fi. Lets you browse the Web anonymously so your privacy is protected. Allows access to your favourite apps and content anywhere you go, as if you were at home. Encrypts your data with a no-log virtual private network that doesn’t track or store your activity. Norton is the #1-ranked consumer security service for your devices with outstanding results with AV Test 2016 and PassMark 2016. 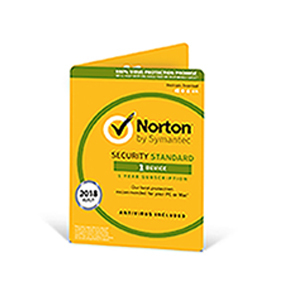 Norton Security includes online access to expert help from certified Norton technicians. Norton offers a 60-day money-back guarantee if you purchased a Norton subscription with a one-year term or more or a perpetual licence. 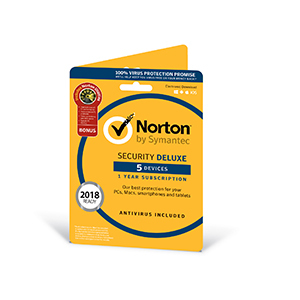 *IMPORTANT SUBSCRIPTION AND PRICING TERMS, OFFER DETAILS AND DISCLOSURES HERE: Norton Security covers PCs, Macs, Androids, iPads and iPhones. Some features are not available on iPad and iPhone. Auto-scan of apps on Google Play supported on Android 4.0.3 or later except for Samsung devices. Samsung devices running Android 4.2 or later are supported. For earlier versions of Android, the Google Play "Share" function must be used to scan apps on Google Play. 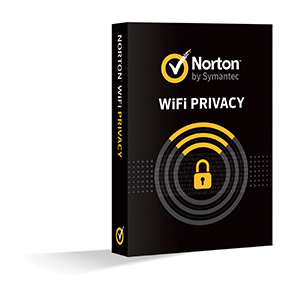 Norton WiFi Privacy is compatible with PCs, Macs, Android smartphones and tablets, iPads, and iPhones. 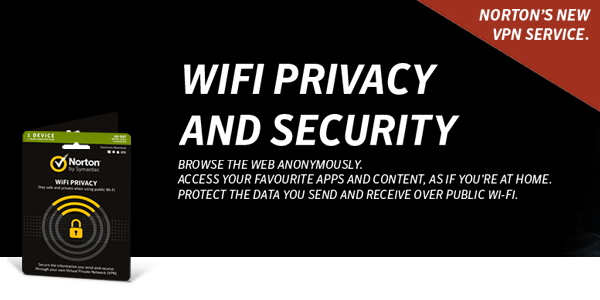 Norton WiFi Privacy may be used on the specified number of devices – with unlimited use during the subscription term. *Details about your Norton subscription: Your subscription begins when your purchase is completed for online payments, (or otherwise, when your payment is received). 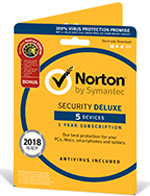 You must download and install on each device to be protected by Norton. 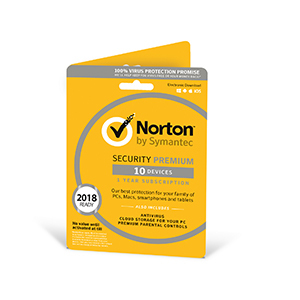 Your subscription includes coverage on the specified number of devices, protection updates and features that may be added, modified or removed, subject to the acceptance of the Norton License Agreement. 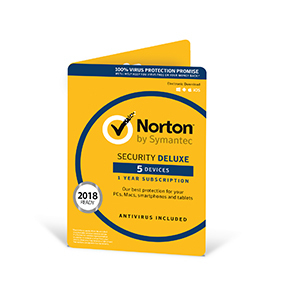 *60 Day Money Back Guarantee: Annual Norton subscriptions (one-year term or more, or a perpetual license): Unless otherwise excluded in this policy, under our 60-day Money Back Guarantee the purchase of a Norton annual subscription is eligible for a refund, if your request is made within 60 days of the date of purchase. 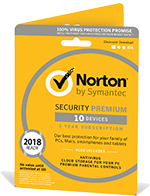 Each annual renewal of a Norton subscription is eligible for a refund of the annual renewal fee, if your request is made within 60-days of being charged (i.e. of your renewal billing date). The refund is limited to the fees paid for the then-current subscription term. 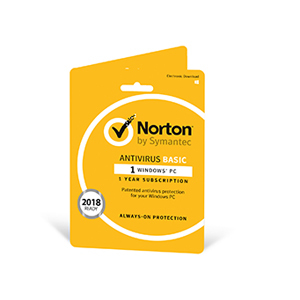 The purchase of a Norton Virus Removal Assurance annual subscription is eligible for a refund, if your request is made within 60 days of the date of purchase. 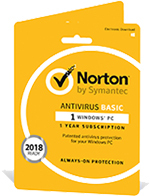 However, if Norton Virus Removal Assistance is bundled with another Norton offering at the time of purchase, then the cancelation, return, and refund policy for Norton Virus Removal Assurance will be the same as the cancelation, return, and refund policy of the accompanying bundled Norton Offering. The purchase of a Norton Ultimate Help Desk annual subscription is eligible for a refund if your request is made within 60 days of the date of purchase, or in the case of an annual renewal, within 60 days of the renewal billing date, provided that in either case, services have not been redeemed during such period. 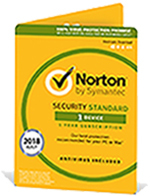 *Norton is one of the world's top rated security services/*The #1-ranked consumer security service for your devices/*#1 ranked consumer security software for overall protection and performance: Norton Performance: For more detailed information about Norton product performance tests, please see: AV-TEST, "Best Protection 2015 Award," February 2016, AV-TEST, "Product Review and Certification Report," March-April 2016 and PassMark Software, "Consumer Security Products Performance Benchmarks (Edition 3)," February 2016. *Includes premium family safety features so your kids can explore their connected world safely: Features may be added, modified, or removed during the subscription period. Norton Family and Norton Family Premier features are not supported on Mac.